Martin Roll will be presenting a keynote address at the Maldives Branding & Leadership Symposium 2018 as well as providing a keynote address and an executive workshop at the Ember Blu Exchange 2018. The two strategic events are organized by Ember Blu and will be held from 28-29 October 2018 in the Maldives. The Branding and Leadership Symposium 2018 organised by Ember Blu is a unique high-level executive event gathering international branding experts together with exclusively invited C-Suite executives of key Maldivian companies. The objective of the symposium is to encourage the sharing of knowledge and ideas about today’s changing market place and the role of branding and its impact on values and leadership in the 21st century. Ember Blu is a business and brand strategy firm specialized in enhancing brand equity of its clients through providing advisory services. Its vision is to improve the effectiveness of business strategy, organisational performance, operational processes and strengthen brand position in order to present a more holistic and human experience. It engages its clients about branding through workshops, seminars and discussions. This transformational half-day event on 28 Oct will consist of a keynote speak by Martin Roll on “Branding & Leadership in the 21st Century – Next Generation Leadership”. He will discuss how leadership can manage multiple global demanding challenges – spanning from geopolitical volatility, technological disruptions, economic and political uncertainty, the rise of China, and shifting demographics. Providing invaluable inspiration and guidance to the audience, Martin Roll will show how to balance the short and long-term lens, building resilience and character, how to keep a horizontal and vertical outlook, balance global perspectives & local insights, and how to lead from a strong strategic compass with an impactful brand vision. The panel will feature panelists from 5 major industries: Telecom, Education, Construction, Tourism and Finance. The panel will be followed by keynotes by Michael Sung, Chairman of CarbonBlue and Ken Segall, former Creative Director of Apple. The half-day event on 29 Oct will consist of a presentation by Martin Roll on the topic “Building Iconic Customer-Centric Brands That Drives Sustained Business Impact”. Branding will continue to be one of the biggest focus areas for management to drive competitiveness in the organization. 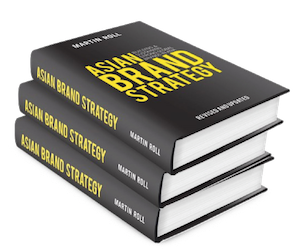 In this session, Martin Roll will provide case stories on Asian and global brands and illustrate how companies and young business leaders can employ branding as a successful catalyst for leadership and long-term sustainable performance. Martin Roll will also define the 10 Brand Leadership Principles that leaders in the Maldives must follow in order to build and implement a successful branding strategy. Martin Roll is the founder and CEO of Martin Roll Company and brings with him more than 25 years of C-Suite counselling experience. Mentor for next generation leaders in business families, start-ups and growth companies. He is a Distinguished Fellow and an Entrepreneur in Residence at INSEAD Business School. He holds an MBA from INSEAD.